Do you remember the old saying that “Sharing is Caring.”? You may not be as old as I am but that phrase still has the same meaning and is still relevent today. Perhaps we can use this little ditty to explain why sharing is so important. Here are a few tips and ideas that may help teach your toddler to share. If your toddler doesn’t want to share, explain why it’s important to share. Thank your toddler for sharing his toys with others. 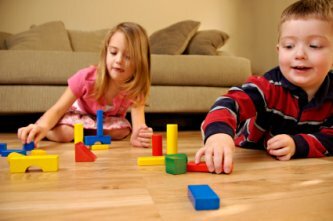 Take the toys in question away; if your toddler doesn’t want to share – then no one will play with the toys. Never yell at the toddler, but be firm in your reprimands. Tell your toddler that not sharing may mean his friends will not want to share with him either. If other toddlers are invited over, ask your toddler to pick out some toys to put away. But also remind him the toys left out can be shared with everyone. Teach by example; show your child how you are willing to share something you own. Teach your toddler to think of others. If your toddler screams and carries on; give the toddler a time out. If all else fails remember this is probably a stage your toddler will outgrow. However, it is important to instill in your child that sharing and giving is important. Try not to give in to everything your toddler wants or buy your toddler a present every time you give another child or their sibling a present. Your toddler is little but also needs to understand the importance of sharing.